Skoda Rapid, is offered in four variants in India and while the base variant does not comes fitted with any airbag, the other three variants sport driver front airbag as well as front passenger front airbag. It rivals Honda City, Ford Fiesta, Fiat Linea, Hyundai Verna and Volkswagen Vento in this segment. 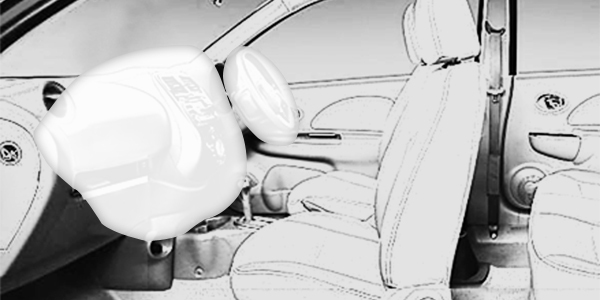 Honda City also offers just one of two airbags for the safety of the occupants depending upon the variant. Fiat Linea, another one of its rivals, comes with two or no airbags depending upon the variant. Hyundai Verna 4S Fluidic fares better in this respect as it comes loaded with four airbags in its top end variant. Volkswagen Vento too falls in the same price bracket as Skoda Rapid and comes with no airbags feature in the lower variants while the top end variants come equipped with two airbags that includes the driver front airbag and the front passenger frontal airbag. 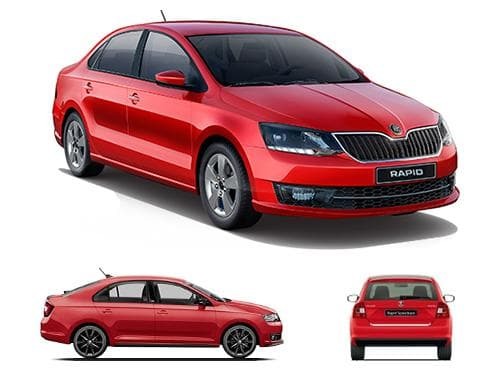 The variants of Skoda Rapid that offer airbags as standard include 1.5 TDI AT Edition X, 1.5 TDI CR Active, 1.5 TDI CR Ambition, 1.5 TDI CR Ambition AT, 1.5 TDI CR Style, 1.5 TDI CR Style AT, 1.5 TDI MT Edition X, 1.6 MPI AT Edition X, 1.6 MPI Active, 1.6 MPI Ambition, 1.6 MPI Ambition AT, 1.6 MPI MT Edition X, 1.6 MPI Style, 1.6 MPI Style AT, Monte Carlo Edition AT Diesel, Monte Carlo Edition AT Petrol, Monte Carlo Edition MT Diesel, Monte Carlo Edition MT Petrol, Onyx AT Diesel, Onyx AT Petrol, Onyx MT Diesel, Onyx MT Petrol.